There is a lot to see and do in Oman, but most of it has to do with making a buck. There are some especially attractive places to visit for people who are looking for a little more in their trip, and The Grand Mosque is one of them. 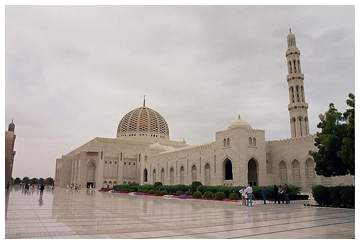 The Grand Mosque is relatively new, and in 1992 it was decided that Oman should have an official Grand Mosque for worship. As instructed by Sultan Qaboos in 1993, construction began. In 1995, work on the Grand Mosque was undertaken by Carillion Alawi LLC. It took 6 years and 4 months to be brought to completion. There were minor design details to be done, but for the most part the work was complete. It took 300,000 tons of Indian sandstone in the project. The prayer hall, or musalla, is built to be square with a central dome that’s 150 feet tall. The dome, the main minaret, and four flanking minarets are the Grand Mosques main features. The main musalla can hold an incredible 6,500 worshippers at one time. The outer grounds are able to hold an additional 8,000 worshippers at once. In total, the Grand Mosque can hold a total of 20,000 worshippers with all of the worship areas combined. Can you imagine? The incredible amount of people and joy to be had with a community of people that size? It would be absolutely amazing! There is a certain amount of dedication that goes into mosques in the Middle East. Usually, each Mosque has something special and unique about it. The Grand Mosque has an interior prayer carpet that rivals what most people have ever seen before. 1,700,000 knots with a weight of 21 tons makes up the carpet. It took 4 years to produce this work of fabric, and incorporates several different design traditions. The Tabriz, Kashan and Isfahan, namely. The carpet has 28 total colors, with the majority coming from traditional vegetable based dyes. As the second largest carpet piece in the entire world, many people find it comforting to know that such an incredible amount of work was put into their prayer efforts. It’s hand woven too, so that should give you an idea of the effort put into creating such a fabric piece. It covers the 4,343 square meter area of the praying hall in a single piece. The Grand Mosque is a testament to the incredible amount of dedication that Muslim people have for their religion. Visiting the Grand Mosque is like looking at a marble masterpiece, with floors that simply gleam with architectural perfection. Looking up at the gigantic dome is really amazing. A huge crowd of people could stand underneath it. What a place to visit! 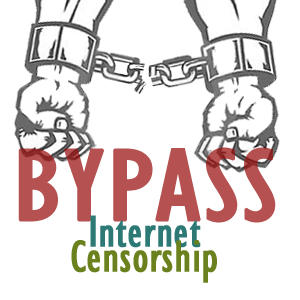 Remember Oman block Skype and websites but not an issue if you use this solution!